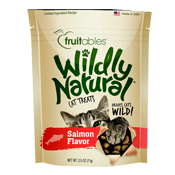 A mouthwatering grain-free, oven baked treat made with fresh wild salmon, sweet potatoes, green bell peppers and spinach. Fromm Family Foods has been family owned and operated in Wisconsin since 1904 and is dedicated to assuring unprecedented quality and safety in all its pet food products. 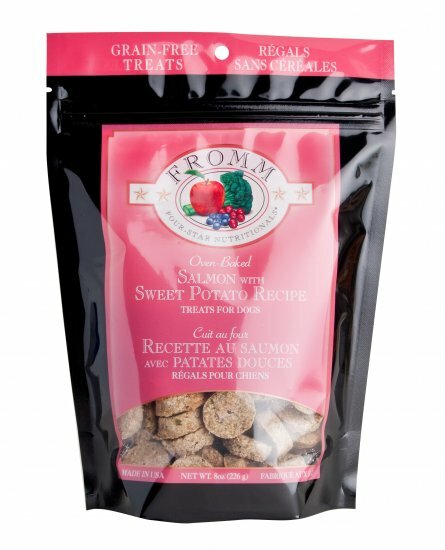 The Fromm Family has over a 100 year history in animal nutrition and promises to continue to deliver the finest in dry, canned and treat products for pets.